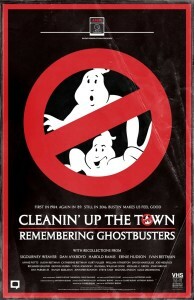 Home » Independent » Two Independent Ghostbusters Documentaries are Coming! Two Independent Ghostbusters Documentaries are Coming! This documentary is eight years in the making and covers both original films. Interviews with over 70 members of the cast and crew were recorded leading to enough material that they could produce a director’s cut that is more than four hours long. This could actually be a multi-part documentary if the kickstarter raises enough money. More than that, if they’re able to achieve funding, they’ll be able to afford to fly back over to the United States from England, to film an interview with Bill Murray. That interview will mean they’ve captured interviews with all four original Ghostbusters. This documentary focuses on the fans of Ghostbusters, rather than the films themselves. It features interviews with members of the cast and crew of the films, as well as members of the fan community. The team behind this has been interviewing many people that were part of the cast and crew of the Ghostbusters films to date, as well as Paul Feig, director of the upcoming Ghostbusters reboot. I want to see both of these documentaries reach their goals, as a fan of Ghostbusters. 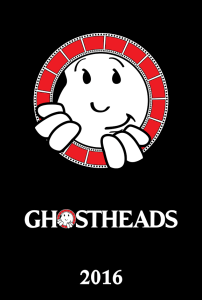 If you have a little bit of extra cash to throw at something Ghostbusters related, and love the films, check these out and please consider supporting these fan made documentaries. I'm a social media enthusiast and a fan of motion pictures. My movie and TV show collection is as diverse as my taste. My favorite movies include Ghostbusters, The Karate Kid (1984), The Lord of the Rings and Star Wars. I also enjoy Disney magic, have a TON of comic books (I like Marvel and DC equally), and still play mostly Nintendo (Wii U is awesome). My interests and favorites go well beyond these things, but I'd have to write a novel to explain it all. My day job is as co-founder and Chief Creative Officer of ProTrainings, LLC.